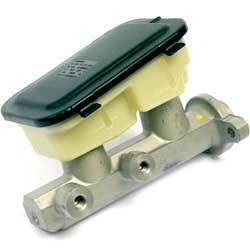 Classic Industries offers a wide selection of Brake Components for your Chevrolet Caprice. 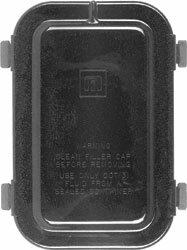 Classic Industries offers Chevrolet Caprice Master Cylinders Components Chevrolet Caprice Master Cylinders, Chevrolet Caprice Bails, Chevrolet Caprice Covers, Chevrolet Caprice Push Rods, and Chevrolet Caprice Rebuild Kits and Parts. 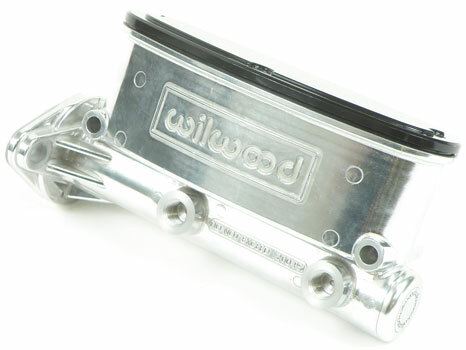 Dress up your engine compartment with a billet aluminum dual-bowl master cylinder with 1-1/8" bore, flamed cap and 9" chromed booster. Designed to fit most standard GM mounting configurations. For cars with disc brakes. Top cover gasket for the Baer Remaster master cylinder assembly. 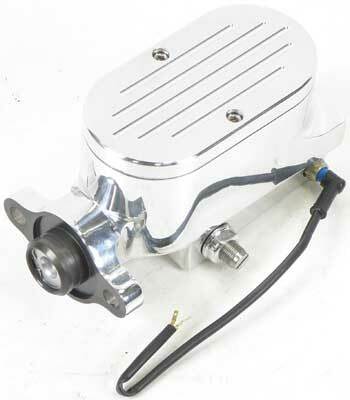 Dress up your engine compartment with a billet aluminum dual-bowl master cylinder with 1-1/8" bore, plain cap and 7" chromed booster. Designed to fit most standard GM mounting configurations. For cars with disc brakes. This universal adjustable push rod set accommodates eyelet, clevis and bell crank style push rod setups. Includes adapters for 10 common master cylinder push rod configurations with both power and manual brake systems. Cap gasket for the Baer Remaster master cylinder assembly.